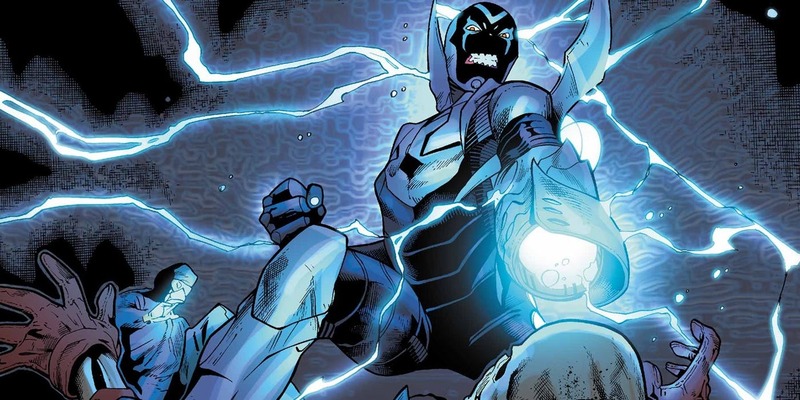 DC and Warner Bros developing Blue Beetle movie – AiPT! DC taking strides to get one of their lesser known heroes on the big screen. Add another superhero film to the ever growing pile Warner Bros and DC are churning out these days. Jaime Reyes, aka the “Blue Beetle”, is currently in development between the two companies. According to a report out of The Wrap, Mexican-born writer Gareth Dunnet-Alcocer (Scarface) has been tapped to write the script for the new movie, with Zev Foreman serving as executive producer for Warner Bros.
Blue Beetle is the first superhero movie to come from the DC and Warner Bros partnership with a Latino character in a lead role. Currently only two other prominent characters within the DC film universe are Latino — the upcoming Birds of Prey movie featuring Rosie Perez in the role of Renee Montoya, and Jay Hernandez as El Diablo in Suicide Squad. Jaime Reyes is the third character to don the mantle of the Blue Beetle, succeeding Dan Garret and Ted Kord. Reyes made his first appearance in “Infinite Crisis” #3 in February 2006, and went on to receive his own series in May of the same year. Reyes discovered the Blue Beetle scarab on his way home from school one day in an abandoned lot. Later that night the scarab came to live and grafted itself to the base of Reyes’ spine, granting him a powerful suit of armor which provides him with increased speed and strength. The symbiosis also bestowed Reyes’ with a number of unique abilities, weapons and shields. This isn’t the only recent appearance of Blue Beetle in the news, fans got a look at the animated version of the character in the new trailer for Young Justice: Outsiders, released two days ago.